Once you get it, you love it... ARTiPLAQ™ ! Where can I get my own prints custom ARTiPLAQ™ -mounted? If you are located near one of our authorized ARTiPLAQ™ custom dealers, (typically a frame shop or a photo-finishing store), bring your prints to them. We will pick up your prints, ARTiPLAQ™ -mount them at our workshop in South Portland, Maine, and return them to the dealer-store for you to pick up. You will save on shipping, get to see samples, support a local business and have a faster turn around time. Click Store Locator to find a dealer in your area. Where can I buy a mounted nautical chart to hang on the wall? What if I'm not located near an ARTiPLAQ™ dealer store? Complete the purchase for your custom mounting on this website by following this link. Once you select the size, style and color, our website will calculate the cost. We accept Mastercard and Visa and Paypal pauyments. Mail us your job with a copy of your completed online order and please track your package so you know it arrived to us. We'll get to work promptly on your order and ship it back to you within about two weeks. We'll charge your credit card when the job is ready to ship. If you prefer, you can ship your prints with a work order form for mail-in orders. What can I ARTiPLAQ™ mount? Posters, photos, ink jet prints, newspaper & magazine articles, children's drawings, diplomas, awards, architectural renderings, maps, charts, concert & event announcements, indoor signs, temporary signs, product promotions and more. Just about any print that is not already laminated can be ARTiPLAQ™ -mounted. You might not want to ARTiPLAQ™ original artwork that might increase in value or anything that is irreplaceable. ARTiPLAQ™ is a permanent process and cannot be undone. 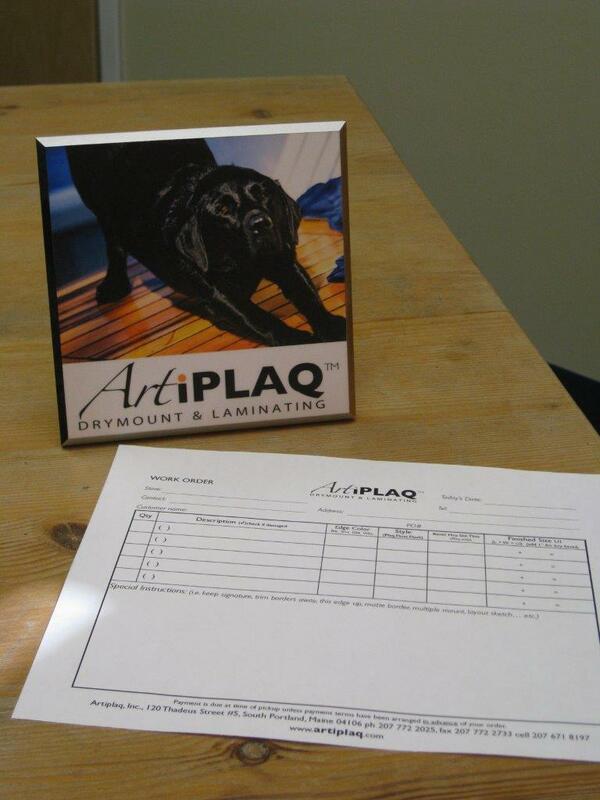 We cannot ARTiPLAQ™ anything that is already laminated (our laminate won't stick to it). If you have any questions, it is best to contact us before shipping your print. If it is already laminated, we will ship it back to you at your cost. How do you hang an ARTiPLAQ on the wall? Click here. How do you mount a print? Click to read about our process. How much does it cost? And what is a United Inch? We base our prices on the finished size of the plaque style. ADD the width to the height to get the "UNITED INCH," then refer to the price calculator. Once you select the style and edge color, you can calculate the price. You can also click here to see our retail price sheet. We round up each dimension's fraction to the next whole size. We can do any dimension from 4x6 inches to 4x8 feet! The smallest Plaq size we can do is 4x6 inches (so we can run it through our edging machine). Shipping is additional. If you are uploading a photo or purchasing a NOAA nautical chart, there is an additional cost for the printing, which is automatically calculated when you make your product selection. Shipping is additional. Yes, but you must contact us first to see if we can accommodate your schedule. We are unable to process rush jobs through this website. If you need it sooner than our standard 2-3 week turn around (plus shipping time) call us at (207)772-2025 or email us. If we can fit it in our production schedule, you'll complete a work order form and ship with your job. We'll charge your credit card when the job is ready to ship. The rush fee is 15% of your order, plus $5, plus optional expedited shipping. We accept Mastercard and Visa and Paypal. Please be sure to track and insure your package so you know it arrived. What is the difference between a Plaq and a Float Plaq? Our standard Plaq is mounted on 3/8” MDF (Medium Density Fiberboard). It is the same substrate from which office furniture and kitchen cabinets are often made. Effective 11/17/17, we introduced the 'Float Plaq,' style. (It is a board of 3/8" MDF, with a backer adhered to the back of the plaq and inset so you don't see it when hanging on the wall.) The profile depth off the wall for Float Plaqs, depends on the size of the print. We 'low-rise' prints less than 40 United Inches to give a 3/4" overall profile from the wall. We 'high-rise' prints greater than 40 United Inches to give a 1 1/8" overall profile from the wall. (To figure United Inches ADD width plus height in inches.) You can always special request either or profile depth on your work order 3/4" or 1 1/8" off the wall if you are trying to match another Float Mount. 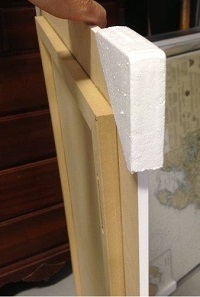 We have discontinued floating 1/8" Masonite hardboard. But we will continue to offer 1/8" Masonite with no edge, no color, for folks who want to drop their ARTiPLAQ-mounted print into a picture frame. The price is the same as Plaq style. 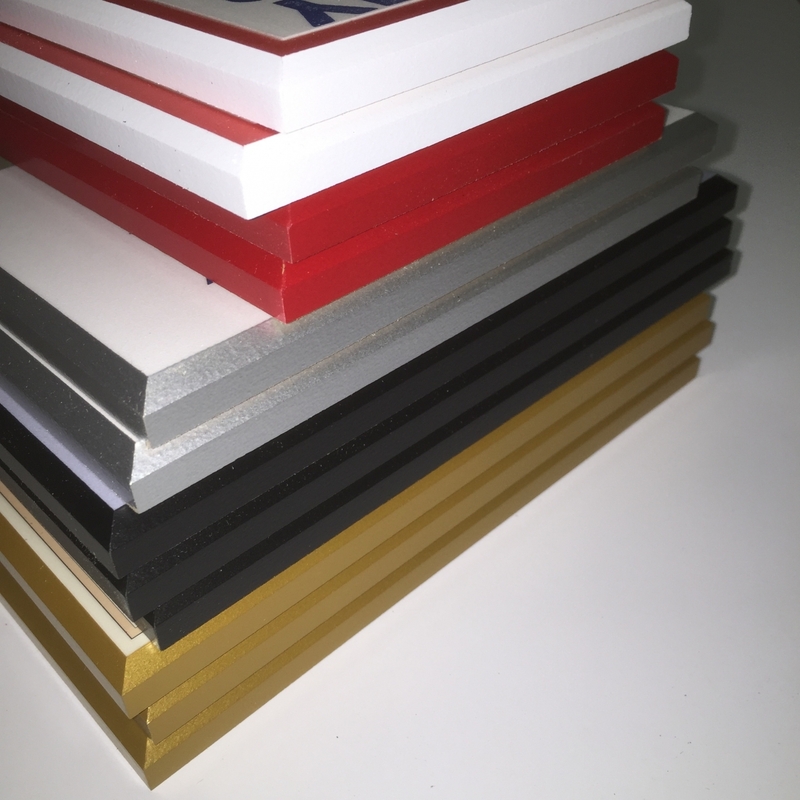 What ARTiPLAQ™ edge colors are available? What is the size of the bevel? Standard bevel is about a 1/4” on the chamfer of MDF. (See photo of us with black edge, standard bevel). To the right the blue sky and mountain image has a Micro Bevel cut 1/8" on the chamfer. This photo also has a 2 inch white border to crete a matt boarder effect. Will the colors of my print be identical to the original once it has been ARTiPLAQ™ mounted? Over lamination comes at a slight reduction of color contrast. Close comparison of an original print to one over-laminated with our matte "Artshield" film reveals a perceptible reduction in vibrancy with whites and pastel colors. Once your plaque is hanging on the wall, the difference is minimal. Will my print yellow or fade? Our "Artshield" film has ultra violet filters to protect your print and over-laminate from yellowing. Once your print is ARTiPLAQ™ 'd, it is encapsulated so that oxygen will not get to it and cause it to fade. The remaining factor is daylight-direct or indirect, over the years may cause your print to fade. The only filter that permanently blocks daylight, is solid black-which prevents you from displaying your prints. We are often asked by folks who print their own images, if they should use archival inks and paper. Archival inks and papers will further the life of your print, but can be costly. We promote our product as an affordable alternative to custom framing. 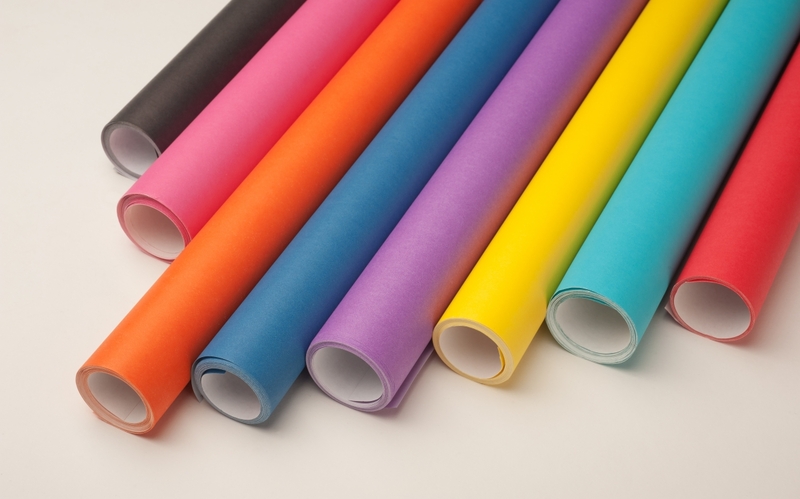 As long as you are using quality inks and paper, we are certain you will be very happy with the product. For folks looking to ARTiPLAQ™ newsprint and kid's art, we are certain they will be happy with their plaques for years to come. So, other than putting your print in a vault or donating it to a museum- consider ARTiPLAQ™ your fabulous alternative for protecting your prints! What is the difference between an ARTiPLAQ-mounted print and a "Wood mount" print? There are different methods and levels of quality involved in plaque manufacturing. Upon occasion, you may see art "wood mount" prints at big box stores. Typically, these are posters mounted or glued to pre-built box that has a spray-colored edge. Often the print is not laminated so if you were to clean the face, the ink might rub off. Or if it is laminated, it is usually a glossy laminate which reflects glare, and does not have UV protection. Typically those type of wood mounts are made in a foreign country. Can I hang my plaque outdoors? Unfortunately, no. ARTiPLAQ™ 's are intended for interior use only. The substrate is not sealed and the backside is porous. Over time, water would seep in between the laminate and the edge color, ruin the paper print and destroy the wood substrate. Can I hang my ARTiPLAQ in a humid environment? Our wooden substrate, like any piece of furniture, absorbs moisture, so a consistent temperature is recommended. (The backside is porous and the front side is sealed). Generally speaking, ARTiPLAQ™ 's work well in humid bathrooms and kitchens because even though the room gets humid, it consistently dries out and is not facing long periods of extreme temperature fluctuations. 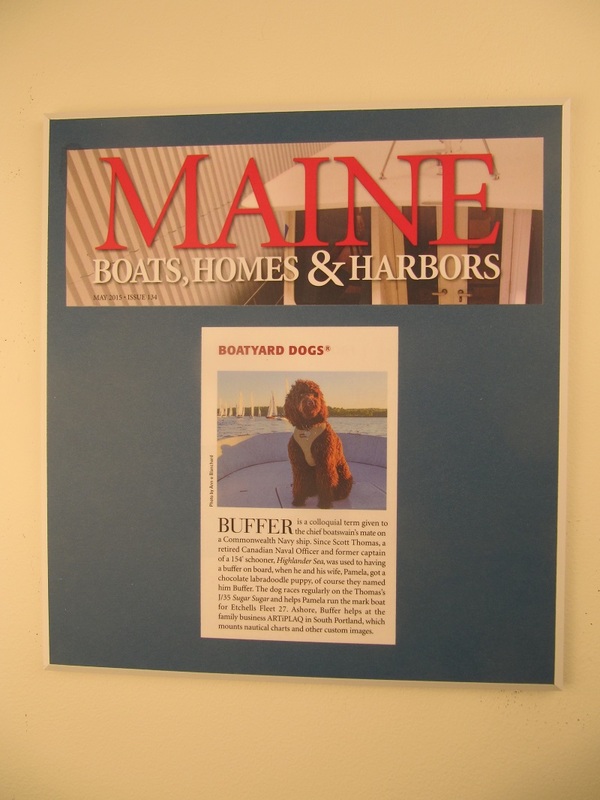 Recommendation: When you close up your unheated summer cottage for winter, we recommend you remove your large nautical chart or ARTiPLAQ™ -mounted poster from the wall and lay it face down on a rug or smooth table. It will flatten out in the cold dry winter air and be ready for your return next summer. 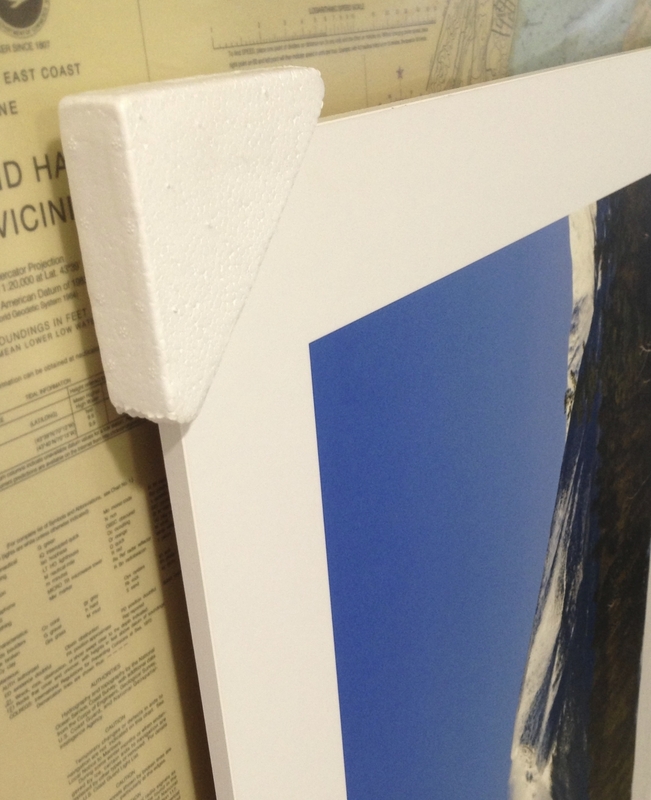 Compared to a print mounted on foam core and hung a frame, your ARTiPLAQ™ print will not buckle, waffle or wrinkle. It is encapsulated inside the plaque. What if the trail map or newspaper I want to custom plaque is folded? While we prefer to receive images, flat not folded, we can mount folded prints and will do our very best to eliminate the crease in our heated vacuum press. What is a multiple mount? 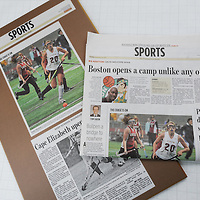 A multiple mount is if you have more than one print you would like to mount on the same board, (such as a newspaper headline and photo). We can do that, but your order can not be processed on this current website. Please visit your local dealer for assistance or, if you are not located near a dealer, email us details for a price quote, then ship us your job with a work order and include rough layout sketch. Please do not scotch tape your article together. (Our adhesives and laminates to do not stick to scotch tape.) We would also prefer that you do not trim newsprint close to the edge. (We'll trim.) 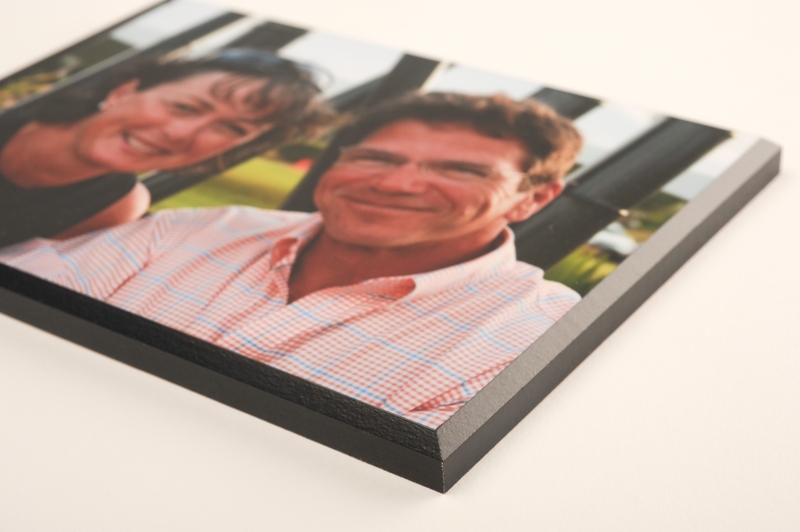 We’ll dry mount a colored paper (such as black) to the board and position your images per your instructions. We stock black and white acid-free paper and assorted pastel colors (photo right) or you can provide your own. More info on mulitple mounts can be found here. We accept: Mastercard, Visa, Discover, PayPal, cheques and cash. No, ARTiPLAQ™ is not a franchise. We created our company name and logo, and started this company in March 2004. Our manufacturing facility is in South Portland, Maine. We are grateful to our network of authorized dealers and commercial photographers and artists who promote our quality craftsmanship. We encourage customers, whenever possible, to purchase their ARTiPLAQ™ s through a local dealer listed on this website. We ARTiPLAQ™ -mount, for our dealers, in our South Portland workshop.